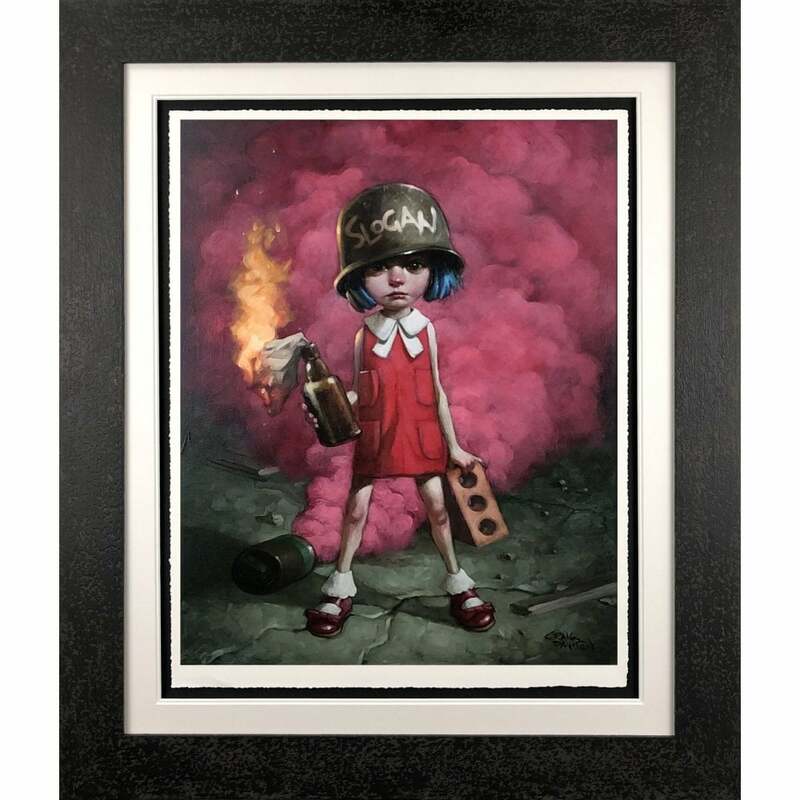 Launching Saturday 20th May at Reem Gallery is an exciting, new and exclusive body of artworks from the multi-disciplined artist Rob Bishop that is truly unique! Taking inspiration from the $1 dollar bill, Rob has combined his love of comics and film together with his signature wood etching and painting style to create highly detailed reinterpretations of The Joker with 'Y 50 5ER10US' and his mischievous partner Harley Quinn aka 'L1L M0N5TER'. The devil really is in the detail with Rob's art, with references to the individual films throughout, some elements more subtle than others for fans and collectors to enjoy finding. Each piece is what we term a "unique edition" of 10 with no 2 being exactly the same as each artwork is individually created, all priced at £995 inclusive of bespoke hand finished frame. Click through for further details on the new collection and other available artworks to purchase. "Why so serious?" - Rob Bishop (right) enjoying a break from all the hard work put into the new collection with Zaid at Reem Gallery. Rob has recently completed commissions for a range of collectors and corporations across the UK, including the mightily talented Ray Winston. Now working as an independent artist, Rob is able to work on bespoke projects and further push his creativity... and with what we've seen coming through we're really excited to be a part of the journey. Please contact the gallery here if you wish to discuss commissioning our artists. The Phenomena that is JJ Adams, fresh from his appearance at Miami Art Basel and new collaborations (more on that later) has launched his anticipated spring collection...... and it's awesome! JJ Adams revels in his repertoire of skill to bring us new iconic portraits for the tattoo series lovers, alongside stenciled and spray painted works including his new Brand Grenade series and Spraying Hands. Going back to our previous mention on JJ's latest collaborations; Celebrity Chef and Restaurant owner Adam Handling mentions working with JJ Adams Live on TV on BBC One's Saturday Kitchen. Scottish Chef of the year, Masterchef Pro and Restaurant owner Adam Handling will be opening his flagship restaurant in Covent Garden in late 2017 and has allowed JJ Adams to curate the interior with his own work. Reem Gallery is delighted to offer seasoned collectors and new admirers the opportunity to invest in one of Britain's truly rising artists with Signed Limited Edition artworks available from £295 upwards.